The Southern Illinois University Edwardsville School of Education, Health and Human Behavior (SEHHB) announced this week that its public health program has received accreditation through the Council on Education for Public Health (CEPH). SIUE’s undergraduate public health program in the Department of Applied Health is among the first in the nation to be accredited as a stand-alone program, after a two-year application process. The program has experienced steady enrollment growth with students enjoying a promising career outlook. Public health jobs are expected to increase 37 percent by 2020. The accreditation process involved a team of program faculty and University administration, led by Michelle Cathorall, DrPH, assistant professor of public health. It included a comprehensive self-study process with close examination of every aspect of the program, courses, faculty and resources. Additionally, a team from the CEPH conducted an intensive two-day site visit. Elective courses within the program allow students to emphasize areas of interest, such as adolescent health, minority health, environmental health and global health. Graduates are prepared for employment in such areas as state and local departments of public health, nonprofit organizations, corporations, schools, colleges and universities, and medical care settings. Informal learning opportunities also exist for students to work on research with faculty members, present at regional and national conferences, and participate in the Eta Sigma Gamma public health honorary society. For more information on SIUE’s public health program, visit siue.edu/public-health. 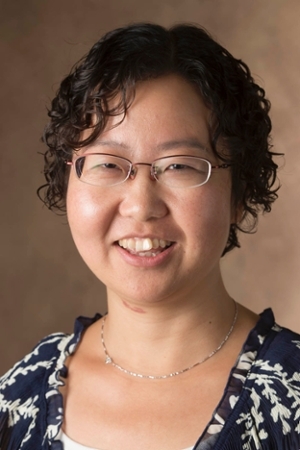 Photo: Huaibo Xin, DrPH, program director and associate professor in SIUE’s public health program.